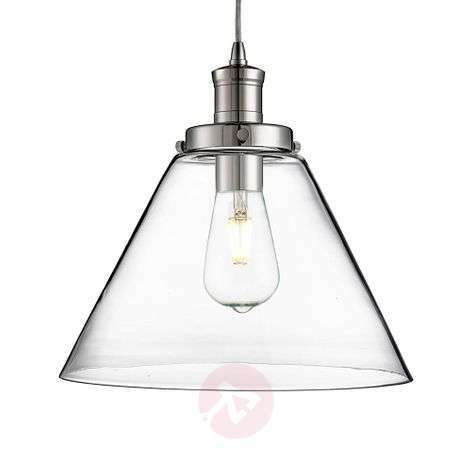 A pyramid-shaped, transparent glass lampshade with a glossy chrome socket and a subtle wire suspension system make up the Pyramid pendant light, which brings a wonderful lightness and a touch of modernity into the room. Due to the transparency of the glass lampshade, the light shines out into the surroundings from all sides, creating an evenly distributed light that gives the room an extra touch of cosiness. 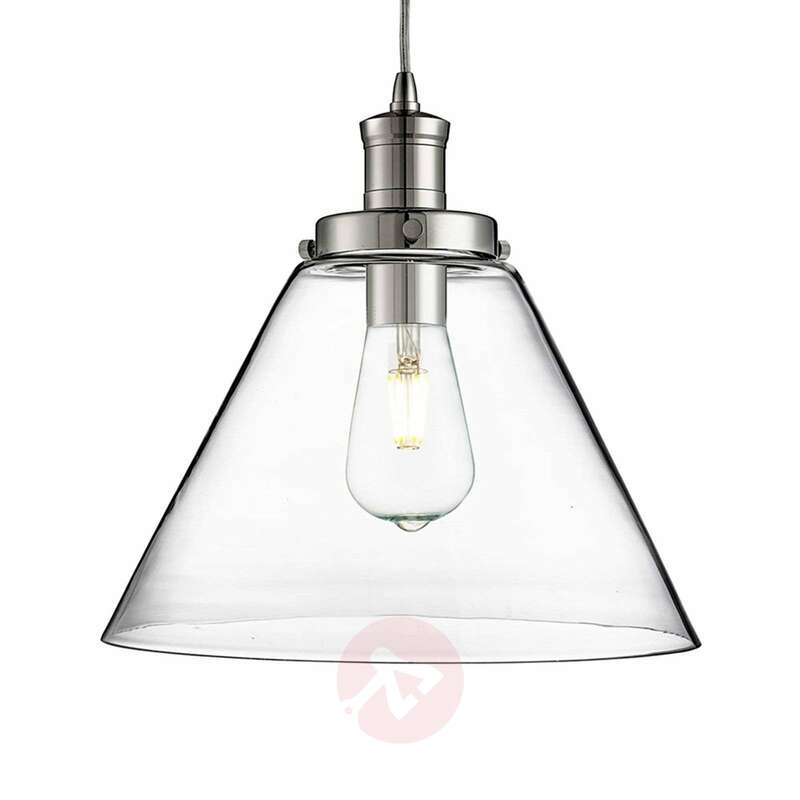 The light is ideal for use with decorative E27 light bulbs, which complete the design of the light.